My name is Sammy Fontanez. 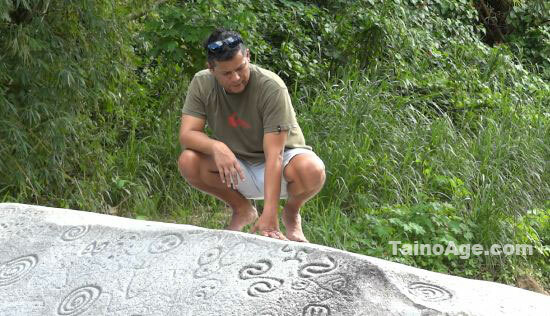 TainoAge is an ongoing project that began with a personal exploration of the petroglyphs of Puerto Rico in 1997. My knowledge and understanding was so minimal back then that it gave way to a quest and a deep desire to learn more. These ancient symbols or rock-carvings, created by the inhabitants of Boriken, are regarded with enormous pride by many islanders. It is virtually impossible not to find these symbols at souvenir shops, on clothes, bumper-stickers and at local craft shows. 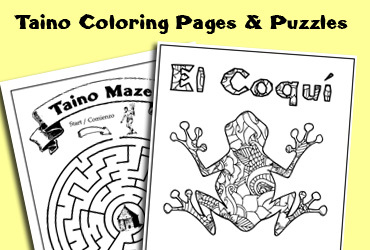 To the people, these symbols may represent the coqui frog, el sol de Jayuya and so on. Yet over time, the meanings given to these rich mystical-symbols by islanders and archeologist alike have been either accepted or deeply questioned. However, there is much more to these symbols than previously thought; and much more to unearth. There is deeper meaning within each carving than mere indigenous graffiti or so called “rock-art”. In time, these symbols may reveal ancient secrets or perhaps a warning to future climatic events. The information and research on TainoAge expands from the chronicles written by the conquistadors to recent scientific data. It encompasses rock-carvings, symbolism and designs found on clay pottery as well as pre-Columbian cosmology, mythology, spirituality and religion. I have traveled extensively throughout the Island of Puerto Rico discovering ancient petroglyphs of the great Taino ancestors. I took up hiking mountains, climbing rocks and crossing rivers to reach remote places that are dangerous as they are beautiful. 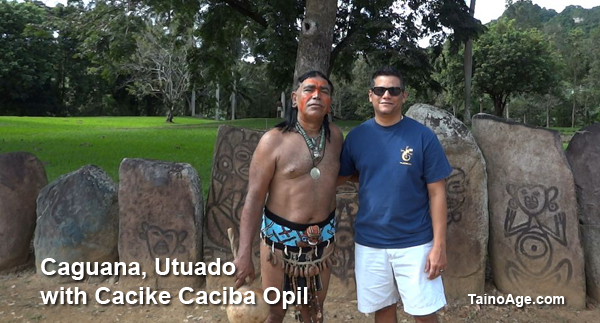 There, high above the clouds, among the tropical rainforest trees listening to the sounds of the singing coqui, I discovered amazing rock art and the sacred past of the Taino People. Many of these ancient images live on photos, video and drawings I have collected and created over the years and serve as a permanent record of my research. I realize that each petroglyph is a unique expression and I have a deep appreciation of the rich culture who created them. 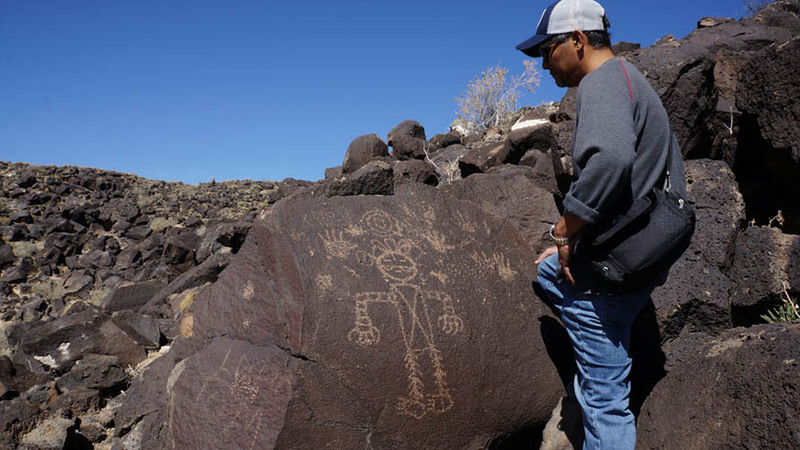 A visit to Petroglyph National Monument in New Mexico, which is one of the largest petroglyph sites in North America. Here I encountered thousands of petroglyphs carved on rocks by the Native Americans. It was interesting to see that the Spanish settlers in this area some 400-700 years ago, also carved Christian crosses on the rocks. These petroglyphs date from 1300 to 1600 AD and are carved into dark volcanic rocks at the edge of a low mesa bordering the Northwestern side of Albuquerque.